Acculine Slim is the ultra-soft ultra-fine armored test component featuring high-precision with fixed amplitude and stable phase launched by Focusimple for the application in high-density, multi-port RF interconnection, integrated testing environment, microwave instrument modularization, PCB board and other test applications. Its maximum operating frequency can reach up to 67GHz. 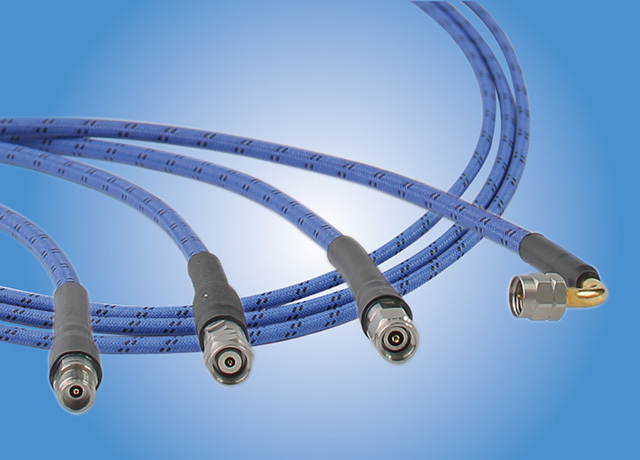 Acculine Slim’s armor is especially designed to provide ideal protection for cables so that the components are resistant to compression, twist and wear and waterproof and have a wider temperature range. The armor is quite soft with a diameter less than or equal to 5mm. The influence of armor on phase and amplification is reduced to the minimum by continuously optimized armor structure and assembly process control. Acculine Slim is also suitable for type selection verification of high-speed data device, optical module testing, chip R&D and production test, interconnection of RF microwave switches and other application environments requiring narrow space, small bending stress and high stability performance. In combination with the torque tools specifically developed, it will be more convenient for the operation in the environment of multi-port, with high-density and in a small space. Focusimple can provide customized precision components matching with phase or time delay. - Customized product and fast delivery.